Manufactured using PVC ST this textiles has immense strength and longevity. The cover is waterproof and will perform in plus 70 temperatures making it ideal for hotter climates , it will also perform in minus 30 temperatures. Cover looks cosmetically pleasing and is very easy to clean. 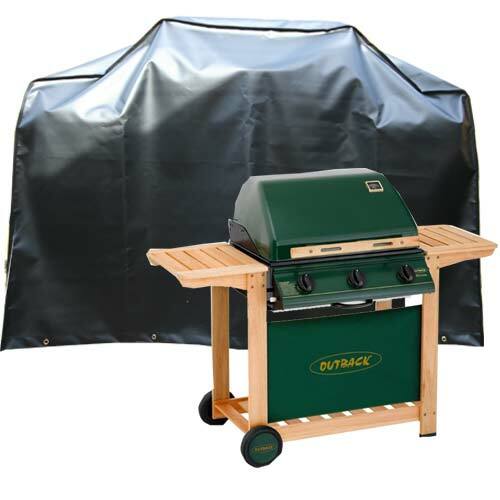 This cover is designed to fit the Grandhall BBQ,Beef Eater, Napoleon BBQ,Coleman BBQ, Weber bbq and many more just check the measurements of your BBQ. Kover-it covers come complete with brass eyelets, shock cord and a 5 year guarantee.